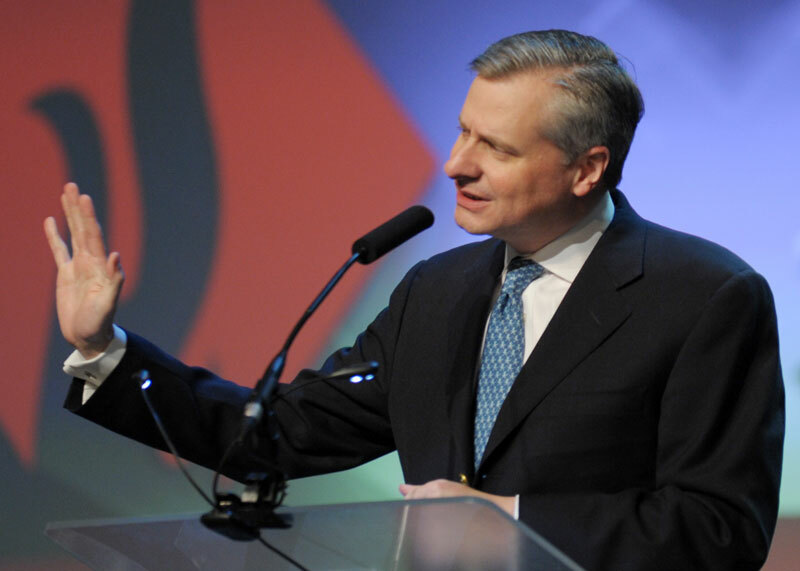 Jon Meacham is a Presidential historian, Pulitzer Prize-winning author, a contributor to TIME and The New York Times, and one of America's most prominent public intellectuals. A regular commentator on television news and political programs, he is known as a skilled raconteur with a depth of knowledge about politics, religion, and current affairs. Meacham brings historical context to the issues and events impacting our daily lives. His latest book, which made its debut at #1 on the New York Times bestsellers list, is The Soul of America: The Battle for Our Better Angels. It examines the present moment in American politics and life by looking back at critical times in U.S. history when hope overcame division and fear. Meacham’s Presidential biography, Destiny and Power: The American Odyssey of George Herbert Walker Bush, also made its debut at #1 on the New York Times bestsellers list. The Times said, “Destiny and Power reflects the qualities of both subject and biographer: judicious, balanced, deliberative, with a deep appreciation of history and the personalities who shape it.” Meacham delivered a moving tribute at the funeral of First Lady Barbara Bush. His book, Thomas Jefferson: The Art of Power, was hailed as "masterful and intimate" by Fortune magazine. His other national bestsellers include Franklin and Winston, American Gospel, and American Lion: Andrew Jackson in the White House, which won the Pulitzer Prize in 2009. Meacham has appeared on Meet The Press, The Colbert Report, and Ken Burns’ documentary series “The Roosevelts: An Intimate History.” Fox News produced an hour-long special about Meacham’s “Destiny and Power” in November 2015. Eric Garcetti is a fourth-generation Angeleno and the 42nd Mayor of Los Angeles. He was elected mayor in 2013 and re-elected in 2017. Under his leadership, L.A. has been rated the nation’s best-run city by the Bloomberg What Works Cities initiative and become the number-one solar energy city in America. As mayor he led and won a campaign to pass the boldest local infrastructure initiative in American history, funding a once-in-a-generation expansion of public transportation. He also launched the L.A. College Promise, a higher education access program serving more than 4,000 students. He is confronting a homelessness crisis by leading a regional alliance committed to ending chronic homelessness, raised the minimum wage to $15 an hour and cut business taxes to help drive an economic recovery that has created a record number of jobs in legacy industries like entertainment and aerospace. He’s been active on a number of other fronts as well, including climate change, children’s health programs, and support for Dreamers. 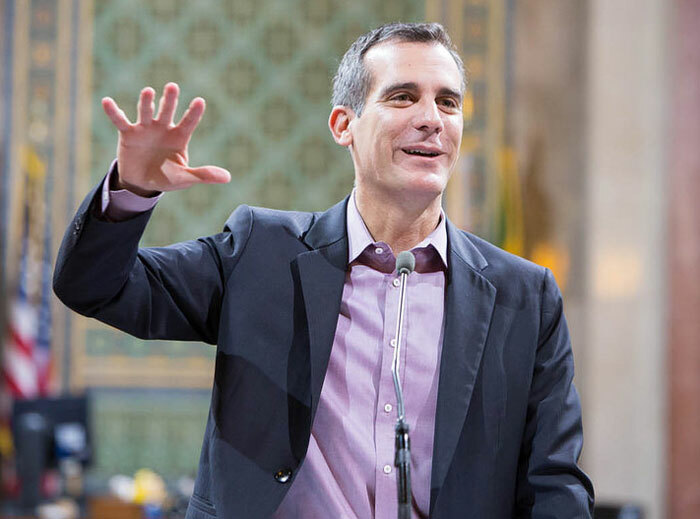 Beyond his time at City Hall, Mayor Garcetti has served his country as an intelligence officer in the United States Navy Reserve and taught at the University of Southern California and Occidental College. He was born and raised in the San Fernando Valley, the son of public servants and the grandson and great-grandson of immigrants from Mexico and Eastern Europe. The Mayor received his B.A. and M.A. from Columbia University, and studied as a Rhodes Scholar at Oxford University, and later at the London School of Economics. He and his wife, Amy Elaine Wakeland, are the proud parents of a daughter, Maya, and have been foster parents for more than a decade. Alicia John-Baptiste, the interim CEO of SPUR, is responsible for organizational vision and strategy. She previously served as Deputy Director for three years, running the organization day-to-day and overseeing SPUR’s policy work and strategic initiatives. 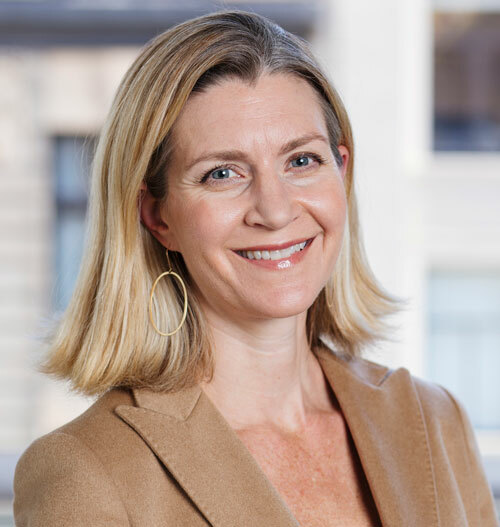 Prior to joining SPUR, Alicia spent 16 years in senior public administration and public policy roles for the City and County of San Francisco, including chief of staff positions at both the San Francisco Planning Department and the San Francisco Municipal Transportation Agency. As chief of staff of the SFMTA, she led a number of major initiatives, including Transportation 2030, a task force co-chaired by SPUR. The task force convened over 40 civic leaders to consider what needed to be done to make San Francisco’s transportation system work well today and in the future. The task force identified a need to invest $10 billion in San Francisco’s transportation system between 2015 and 2030 and recommended four funding measures requiring voter approval to raise $3 billion of those needed funds. John-Baptiste led the staff team that developed the $500 million 2014 Transportation and Road Improvement General Obligation Bond (which was approved by the voters last November). She holds a master’s degree in public policy from the Harvard Kennedy School, and a Bachelor of Arts from Duke University. Dan’l Lewin is a longtime Silicon Valley tech executive and industry icon who has brought financial, corporate, academic, and civic leaders together to advance emerging technology, digital transformation, and sustainability initiatives, leveraging 30-plus years of Silicon Valley leadership experience with companies that include Microsoft, NeXT, Apple, and Sony. During his 17-year tenure at Microsoft, Lewin created groundbreaking initiatives to bring technology awareness and solutions to individuals, businesses, and organizations worldwide, launching efforts to engage the entrepreneurial and venture capital communities and leading strategic technical diplomacy efforts. He now heads the Computer History Museum (CHM), a nonprofit organization with a four-decade history as the world’s leading institution exploring the history of computing and its ongoing impact on society. 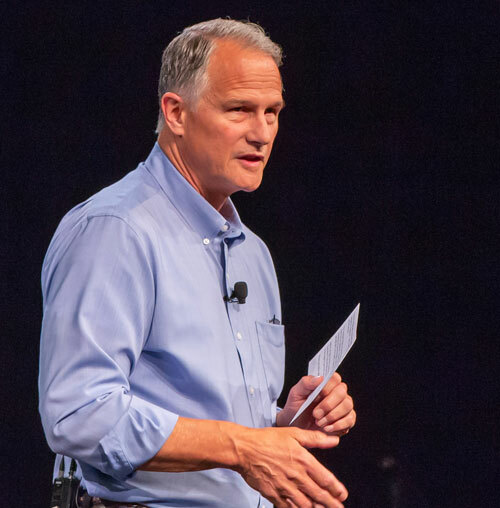 Lewin directs the strategic planning, fundraising, and ongoing operations of CHM, including those of its Exponential Center, dedicated to entrepreneurship and innovation, and Center for Software History. 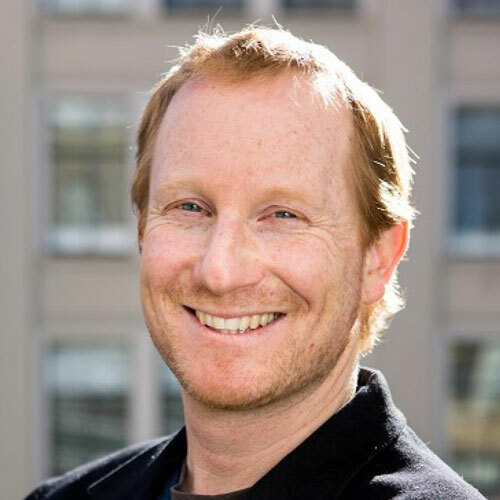 Lewin serves on the boards of the Silicon Valley Community Foundation, UI Labs, and StartX. He is also on the Advisory Council for the Department of Politics at Princeton University. Lewin holds an AB in politics from Princeton University. 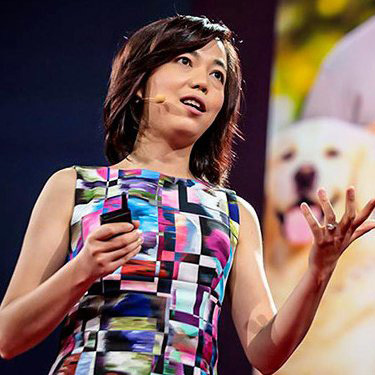 Fei-Fei Li is a Professor in the Computer Science Department at Stanford University, and Co-Director of Stanford’s upcoming Human-Centered AI Institute. She served as the Director of Stanford’s AI Lab from 2013 to 2018. During her sabbatical from Stanford from January 2017 to September 2018, she was Vice President at Google and served as Chief Scientist of AI/ML at Google Cloud. Dr. Li’s main research areas are in machine learning, deep learning, computer vision, and cognitive and computational neuroscience. She is the inventor of ImageNet and the ImageNet Challenge, a critical large-scale dataset and benchmarking effort that has contributed to the latest developments in deep learning and AI. Dr. Li is a keynote speaker at many academic or influential conferences and a recipient of numerous awards and has published nearly 200 scientific articles in top-tier journals and conferences. Work from her lab has been featured in the New York Times, Wall Street Journal, Fortune Magazine, Science, Wired Magazine, MIT Technology Review, Financial Times, and other publications. Dr. Li obtained her B.A. degree in physics from Princeton in 1999 with High Honors and her Ph.D. degree in electrical engineering from California Institute of Technology (Caltech) in 2005. She joined Stanford in 2009 as an assistant professor. Prior to that, she was on the faculty at Princeton University (2007-2009) and University of Illinois Urbana-Champaign (2005-2006). Murat Sönmez started his professional career in 1989 as a Silicon Valley-based software engineer focusing on automating the leading semiconductor chip manufacturing factories globally. In 1994 he joined Teknekron Software Systems in Palo Alto, a company that digitized Wall Street by creating an integrated real-time trader workstation based on the early internet protocols (IP). In 1997, Murat was among the founding team of TIBCO Software, a real-time predictive data analytics software company based in Palo Alto, where he was responsible for TIBCO’s customer and partner facing global field operations. He was also a director and board member of TIBCO Software Federal Inc., servicing the U.S. Federal Government. 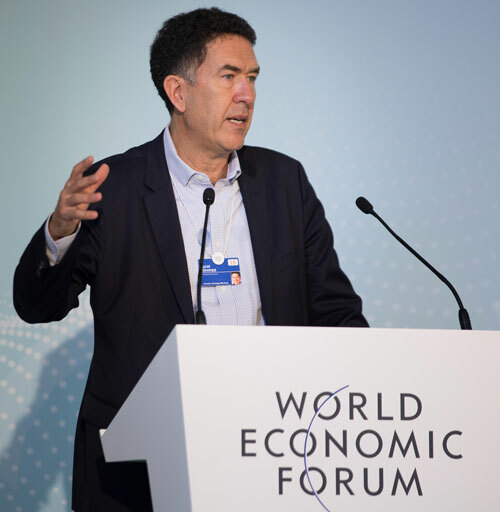 In October 2014, he joined the World Economic Forum as a Member of the Managing Board in Geneva, Switzerland. He is currently the Head of the Forum's Centre for the Fourth Industrial Revolution at the Presidio in San Francisco. Murat has personally been involved in many industry firsts, including helping companies such as eBay, Amazon and Yahoo! build their portal and e-commerce platforms; helping leading semiconductor companies to create the world’s first fully automated fab; laying the foundation for real-time track and trace operations for logistics companies; working with national intelligence agencies to help identify and respond to cyber-attacks; working with manufacturing companies to identify supply chain issues before they happen in order to take proactive action; working with leading retailers to match customers’ references to available inventory in real-time; working with leading banks for predictive customer management; creating the smart grid and cyber security infrastructure for utilities in the U.S. and Australia; and in one case doubling the electricity capacity of a grid without adding a single watt of extra generation, leading to $2 billion in savings annually. In his executive sponsor role in several of these engagements, Murat worked directly with the CEOs and boards to help transform their organizations and gave keynote speeches globally at customers’ and partners’ gatherings. Murat has a Bachelor of Science degree in Industrial Engineering from Bosphorus University, Istanbul, Turkey, and an M.S. in Industrial Engineering and Operations Research from Virginia Tech. Egon Terplan, SPUR's regional planning director, is a specialist in economic development, land use, transportation, government reform and regional policy. He has authored or co-authored dozens of reports and policy studies, including the first report on the Northern California megaregion, a report on land use planning and high speed rail, a strategy for improving economic opportunity and upward mobility in the Bay Area, and strategies for the future of downtown Oakland, San Jose and San Francisco. Egon is a frequent speaker and lecturer and also teaches in the urban affairs graduate program at the University of San Francisco. Prior to ICF, Egon worked with several labor unions, including SEIU and UNITE. He was also an NYC Urban Fellow working on economic development for Mayor Giuliani in New York City and a public school teacher on Rikers Island, Queens. 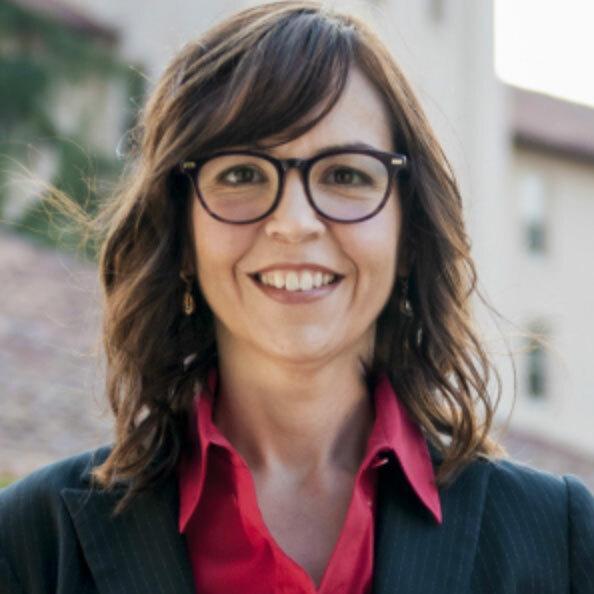 Shannon Vallor is the Regis and Dianne McKenna Professor in the Department of Philosophy at Santa Clara University and an Artificial Intelligence Ethicist/Visiting Researcher at Google. She is also a member of the Board of Directors of the Foundation for Responsible Robotics. Her research explores the philosophy and ethics of emerging science and technologies. Her current research project focuses on the impact of emerging technologies—particularly those involving automation and artificial intelligence—on the moral and intellectual habits, skills and virtues of human beings: our character. Her work investigates how human character is being transformed by rapid advances in artificial intelligence, robotics, new social media, surveillance, and biomedical technologies, and appears in journals such as Ethics and Information Technology, Philosophy & Technology, and Techne, as well as a 2016 book from Oxford University Press: Technology and the Virtues: A Philosophical Guide to a Future Worth Wanting. She is the editor of the forthcoming Oxford Handbook of Philosophy of Technology and is currently working on a new book on the subject of artificial intelligence and ethics: The AI Mirror: Rebuilding Humanity in an Age of Machine Thinking. Dr. Vallor has a special interest in the integration of ethics with industry and engineering/computer science education, and she engages in outreach on this subject with a range of stakeholders inside and outside academia, including government, industry, law, media and public policy professionals and advocates. Recent professional honors include the 2015 World Technology Award in Ethics.